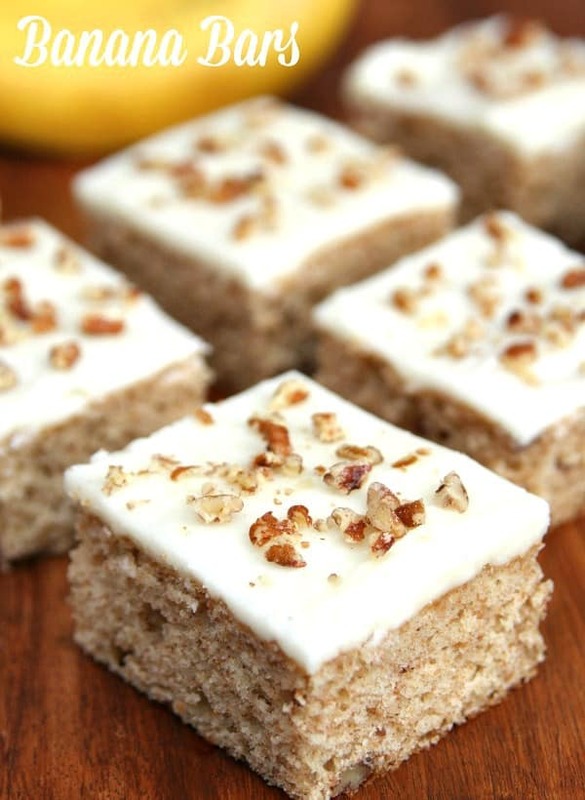 I’m just going to start right off and say these Banana Bars are delicious! They are moist and the browned butter frosting add just the right touch of sweetness. You could even leave off the icing and they will still taste great. We are huge fans of bananas in our house. Connor eats them all the time so I decided to whip these banana bars up over the weekend. I originally made them for breakfast but I’ve been eating them for dessert too. I could probably eat these bad boys all day long! 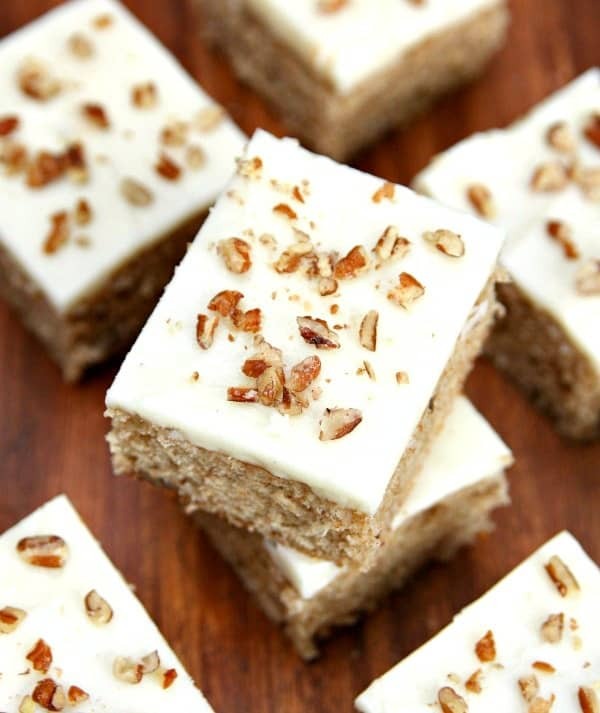 And you know what tastes great with these banana bars? 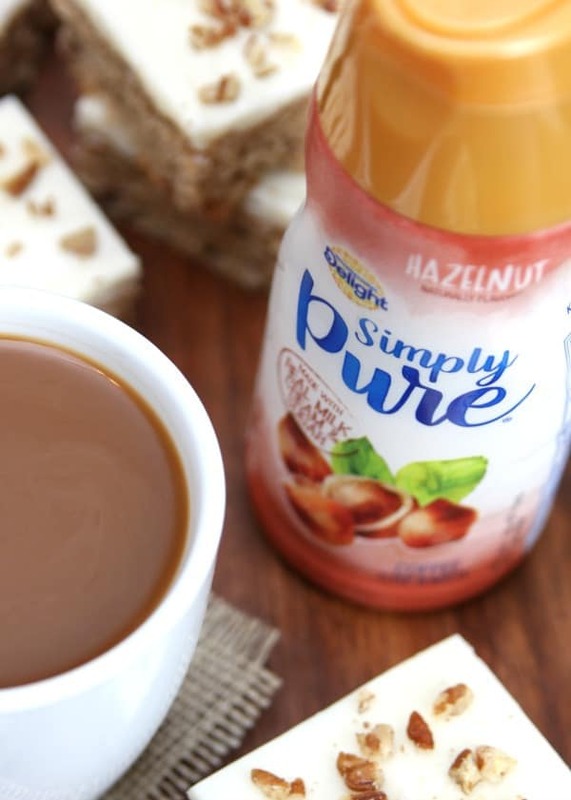 A warm cup of coffee with my new favorite coffee creamer – International Delight Simply Pure. I picked up the Hazelnut the other day while shopping at Walmart and I LOVE it! I especially love that it is made with real milk, cream and sugar and only includes 5 simple ingredients. Most days the thought of coffee is what gets me out of bed and, I don’t know about you, but I cannot drink coffee without coffee creamer. 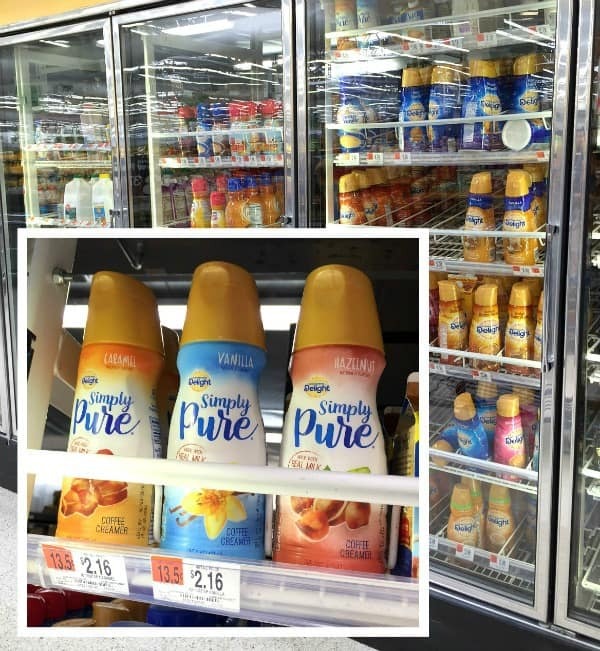 If you love coffee creamer as much as I do, you have to try International Delight Simply Pure. It contains real milk, cream, and sugar and is available in three simply delicious flavors: Vanilla, Caramel, and Hazelnut. So now that you’re craving these delicious Banana Bars and a warm cup of coffee, it’s time for you to taste how good a coffee creamer can be with 5 simple ingredients. 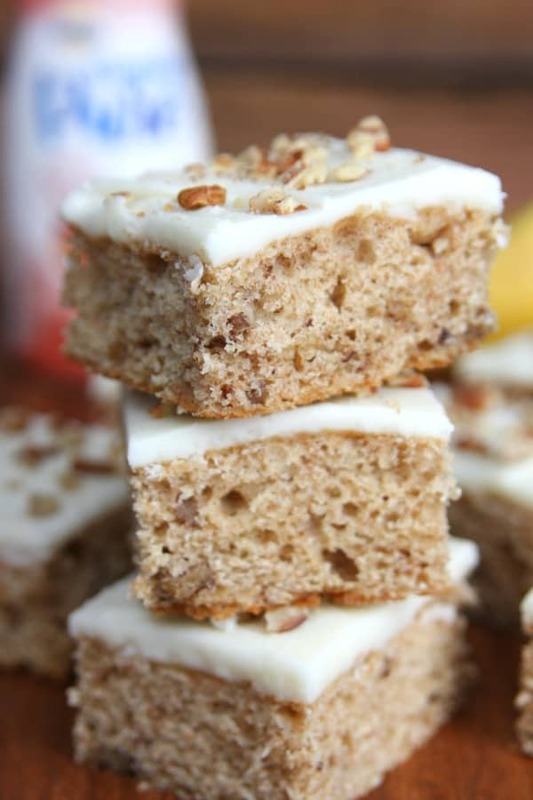 Pick up a bottle of International Delight Simply Pure the next time you’re shopping at Walmart and make sure you buy some bananas so you can make these banana bars. Which flavor are most excited to try? Heat oven to 375 degrees. Grease 15 x 10 inch jelly pan or 9 x 13 pan. (I used a 9 x 13 pan). For the bars, cream together sugar, Greek yogurt, butter and eggs in large bowl. Blend in bananas, vanilla extract, flour, baking soda, and salt. Mix until batter is well blend. Stir in walnuts. Spread batter even into pan. Bake for 25 – 30 minutes or until golden brown. For frosting, heat butter in sauce pan over medium heat until boiling. Continue to bowl until brown turns a light brown, about 3 minutes. Remove sauce pan from heat and add powdered sugar, vanilla extract, and milk. Mix together until smooth. Spread frosting over warm bars. Serve and enjoy! 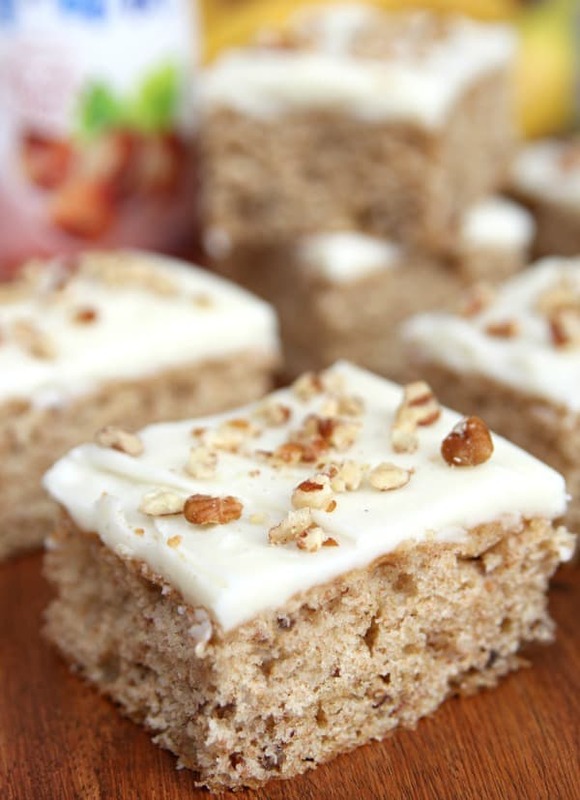 I have a banana cake recipe that I make and just top with cool whip. I’m going to try this frosting recipe. Do you have to use the wheat flour? Or can you just use 2 c reg glour. 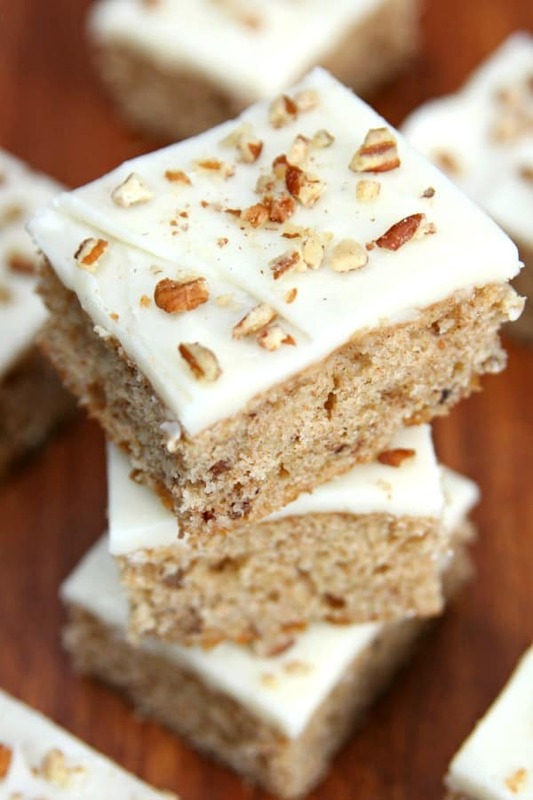 These are the best banana bars I have ever had and the only banana recipe I will make.